Joe McClung, a.k.a. Mr. Big, surrounds himself with musicians all weekend long. 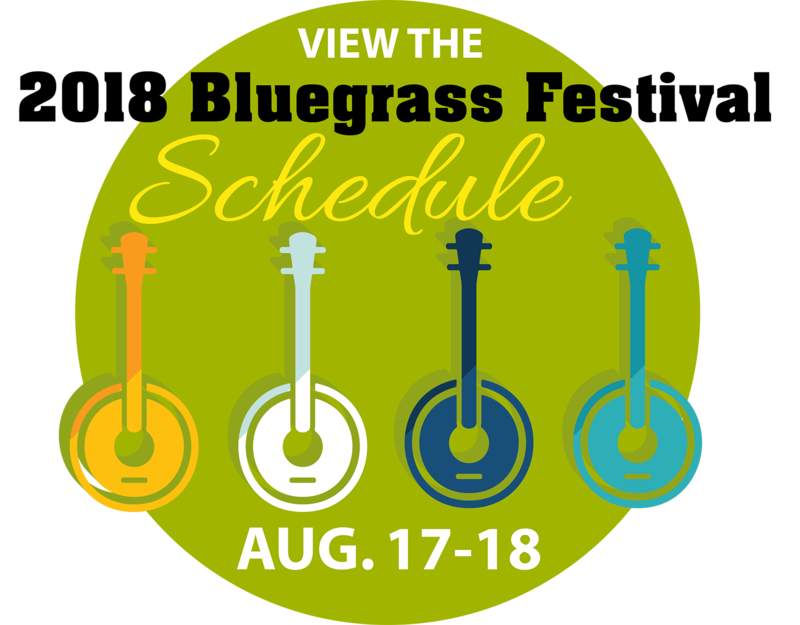 Banjos, mandolins and harmonies will ring out through Basin Spring Park during the Eureka Springs Bluegrass Weekend, being held Friday, Aug. 17, and Saturday, Aug. 18. Andy Green, events coordinator for the Eureka Springs City Advertising and Promotion Commission, said this year’s event will feature the traditional sounds associated with bluegrass. The music begins on Friday, Aug. 17, with a performance by The Crumbs at 4 p.m., followed by Boy Named Banjo at 5:30 p.m. Hailing from Fort Smith, The Crumbs are one of the three regional acts performing during the weekend. This young player draws quite a crowd as she hones her skill on the quarter-size fiddle. Finnley the tiger, 5, devours his first slice of delicious watermelon. The festival just wouldn't be the same without the steely sound of Rodger King's dobro. Lonesome Road kicks off the music at 1 p.m. Saturday, Aug. 18, with The Crumbs playing again at 2:30 p.m. Runaway Planet performs at 4 p.m., and Chatham County Line closes the evening at 5:30 p.m.
Chatham County Line is a national act from North Carolina and has been performing since 1999. Green said he’s excited to offer a rich lineup of regional and national acts. Green loves bluegrass music because it’s the kind of music anyone can play, and it’s honest. Gina Rambo at the watermelon table. Gordon, 10, of The Mountain View Friends teams up with local banjo player Gordon Norrell for a little pickin' in the park. Bluegrass musicians don’t use amplifiers, Green said, and he appreciates the simplicity of the genre. An essential part of bluegrass, Green said, is harmonizing. “The vocal harmonies go along with the style of music,” Green said. Bluegrass has had a resurgence over the past few years, he said. Every act performing during the weekend embodies the essence of bluegrass music, Green said. Eric Knowles picks a piece on the banjo. Jeremy Stephens and his wife Corrina Rose Logston play a lively tune that captivates little ears and eyes.